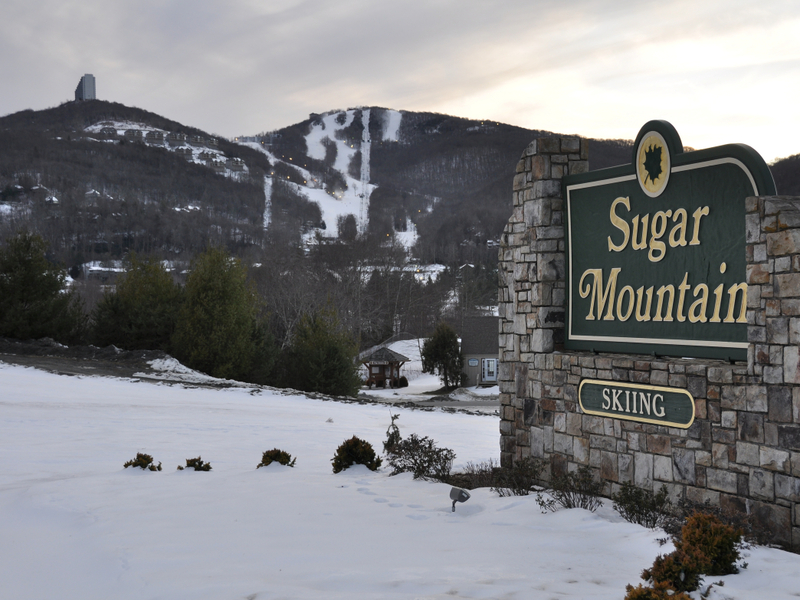 Sugary sweet slopes, trails and accommodations are waiting for you at Sugar Mountain Resort. 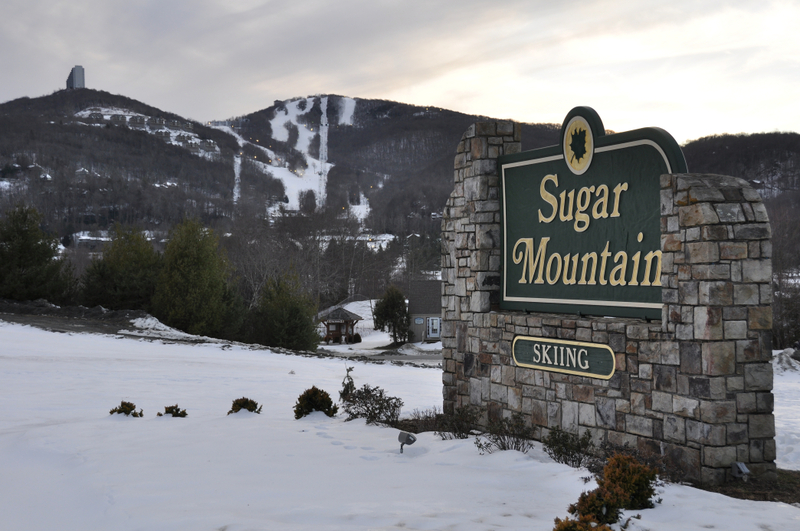 Sugar Mountain Resort boasts one of the highest vertical drops and largest amounts of skiable terrain in Western North Carolina. From Asheville, a scenic hour and forty minute drive up into the North Carolina high country will have you skiing on one of the area’s finest resorts. Make the trip, for a day of fun in the snow, or check into one of Sugar Mountain’s variety of lodging options for a multi-day winter excursion. ugar Mountain Resort is known not only for skiing and snowboarding but for an array of activities to entertain the entire family. Not comfortable on the slopes? Sugar runs a 700’ tubing run which is serviced by a “magic carpet lift” that stays open late for your evening entertainment. Adjacent to the tubing run is a 10,000 square foot ice skating rink with rentals available in the Dave Nixon Pro Shop. If you are looking for some winter-time exercise Sugar Mountain offers guided snowshoe tours available throughout the week. Tours include a one hour hike and snowshoe rentals for $25. Skiers and snowboarders are going to love the terrain which Sugar offers. In recent years, Sugar has begun to offer year round activities for Asheville’s adventure enthusiasts. If you find yourself visiting Asheville in the summertime Sugar Mountain is the place to quench your thirst for hiking or mountain biking. Many miles of free access trails are available during daylight hours of the summer months. Get a detailed trail map before your visit and check out this video from Sugar Mountain Resort’s expert downhill track! Expert riders can experience the “same downhill adventure as a USA Cycling National downhill racer” on what is considered one of the most demanding and thrilling downhill courses on the East Coast. The drive from Asheville to Sugar Mountain Resort is beautiful and will take you 1 hour and 40 minutes from downtown. Lift tickets to Sugar are incredibly reasonable. Parking can easily be found at the resort and they also run a great shuttle system to help you get around once you’re at the mountain!